Here we go! Time to take a look at the latest diets for the New Year. Weight Watchers is always on top for the “Best Diet” category because their system is based on science (woohoo!) and people lose weight when they use it. How much weight? A Duke University study found that on average Weight Watchers members lose about five pounds per year at a cost of $70 per pound lost. In comparison, Jenny Craig users lost 16 pounds on average over a year at $153 per pound. For 2015, Weight Watchers has rolled out some innovations to distinguish its program from the crowd. Because of competition with free apps such as myfitnesspal and Lose It!, Weight Watchers is taking the approach that they can give you personal service. The free apps are great for tracking but are they the best if you have a specific question or need? 24/7 Expert Chat - You can chat via your phone or computer with an expert to help you with the program and your weight loss goals. Personal Coaching – A weight loss coach for you and only you to help via phone and e-mail. You can meet with this person as much as you want (but WW suggests once per week). The good news is that the 24/7 support and the online tools are available at the base rate of $19.95 per month (USA pricing) and the bad news is that the personal coach is $54.95 per month – but it includes the website and 24/7 support. You didn’t think you would get a coach for free, did you? Obviously, Weight Watchers is still holding their meetings – once per week ($44.95 per month including website tools and 24/7 support) and you can hang with the other people in your neighborhood on the same journey. I haven’t tried any of the new programs but I like the idea of a personal coach. We all have specific food issues that we bump up against so it would be nice to be able to talk with an expert one-on-one to get help. I have never gotten an online chat to work for me – they always take forever – so I am not so sure about that option. 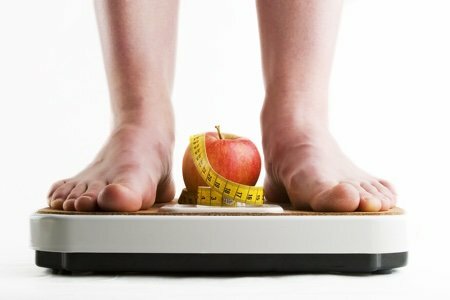 For weight loss beginners - give the free apps a try! If getting something for free means that you can't commit to it - sign up for Weight Watchers because spending money will motivate you to actually work hard on changing your diet and habits. Don't have time for meetings? Try the personal coach. It is $10 more than the meetings per month but you can schedule the meetings around your life. Remember that this is not a race - you don't have to lose 10 pounds in January to be a success. How do you feel about the new Weight Watchers programs? Have you used any of them? i am disabbledand hard to get out to themeetings. whats the best option for someone of this nature.i am such a fixed income and couldnt afford a lot but what abouttheprogram? I do have the weight watchers monthly pass, but have not used either of the new coaching programs. There are several lifetime members in the meeting that I attend and all contribute their success to meetings and tracking. Susan, please try Sparkpeople.com. It is free. They have everything that you need. Nutritional information, groups to join, fitness videos for all level and so much more. Much success to you on your journey. Susan, I agree with Pam that Spark People is awesome! You should also try My Fitness Pal, it's also free and a great way to track calories and exercise. It is easy to use and you can invite friends to join and you can encourage eachother! You can never have enough resources! Happy New Year! What is interesting here-is that none of the coaches have any nutritional knowledge beyond being on the programs themselves-sad! To Janet's point, it is true that WW leaders do not have nutritionist degrees, but they do get science-based training from WW & I do think it is unfair to say that they don't have "any nutritional knowledge beyond being on the programs themselves." I am not a leader, but have been on WW for many years and I've had great leaders (and not so great). Amazingly, I've also brought my son to certified nutritionists at $75 per 1/2 hour session (out of pocket - not covered by insurance) and got advice like - "try cutting out soda & juice ... try eating wheat bread." I found that the information and tips I gained at WW were far more helpful. However, as with everything, there is knowledge and then putting that knowledge into practice and wanting it enough to stick to it - and that is the challenge! I'm a Weight Watcher member but not a success story but the end is not written yet. If I didn't go to meetings I would gain back the 100 pounds I've lost (even though I have much more to lose). I have been on diets since I was 4 years old and failed each time. The only difference this time is I never miss a meeting and any pound I can take of this frame is a good one. I really do learn a lot from everyone there. It is costly but my doctor bills were higher. This is such a hard thing to do but we are all worth the effort. I am in WW for the second time. The first time, I went AWOL after having lost 44 lbs, not doing that this time. Have been back since Aug and have lost 26 lbs. It is the ONLY program that works for me because it works in REAL LIFE. Haven't used the new support system, but use WW on my phone and the etools, as well as attending meetings and I LOVE IT! I like WW. Going to the meetings and weighing in, are my motivation for staying on track and counting points. I recently read an article on www.drmirkin.com (Dr. Mirkin's website) about fasting 2 days/week (eating less than 500 calories those 2 days) and eating "normally" the other 5. Apparently this causes more weight loss than trying to diet all 7 days. You'd have to read the article. I am trying it for a month to see how it goes for me. I have a 100 cal. pkg of nuts in the morning, a banana at noon and an apple with a tiny bit of peanut butter or yogurt dip for dinner. The first 2 days of fasting were very easy - I just drank a lot of water in between the little meals. I'm not sure how Duke University did their math but I'm pretty sure the majority of WW members lose more than 5lbs per year. I've lost 40 in the year I've been a member and it seems that most in our group have lost a significant amount as well. Anyway, I love WW and the meetings are definitely the key to success. As stated before the leaders aren't JUST MEMBERS, they are trained to be leaders and they are awesome at it. I also use Sparkpeople and its a great site. Lots of information and great workout videos. WW has kept me on an even keel with my weight for years. It helps tremendously to have a friend who is on it and can keep you motivated. Love being able to eat fruits at no points! If you have never tried WW, give it a couple of weeks and see the first few pounds come off. It will be a real encouragement! I would also suggest to see what is offered by your health plan! They might offer a Weight Watchers or other plan reimbursement. Also, your employer might offer something as well. My husband and I are lifetime Weight Watcher members. We are both at goal having lost a combined total of over 100 pounds. We were lucky enough to have a great leader. We have maintained weight loss for almost two years now. We like the program because it taught us portions,mindful eating, keep moving,and we still enjoy foods you don't associate with "diets". I got to my goal with WW in March 2014 losing 80 pounds but have had a hard time keeping it off. I just keep fighting with the same 5-6 pounds and in December I had to pay because I was over goal weight. Have only been going to meetings once a month and think I need to start going back every week. I have the Points Plus Diary app. Works just like Weight Watchers. Check with your health insurance company as mine , Cigna offers weekly weight coaching as well as others, they even sent me a portion control plate and other goodies, all completely free!!!! I'm trying to focus on general health and not just weight loss. I've found the app "Two Grand" has been a great fit for me. I take a picture of my food before I eat it and log it in a social media style format. It helps me stay accountable--if I don't want to take a pic of it, I probably shouldn't eat it! I have been a Lifetime WW for 4 years now. Previous to that I tried ALL of the other "diet programs". The Number One thing I have learned is that it has to be LIFESTYLE changes to make it a success for the long haul. WW did it for me as I needed the support of the meetings and friends to help on the journey. Now I can stay with the changes I have made and keep on the road to a healthier life. There's no magic in any of it, it's just finding the right fit for you!! Many doctors suggest WW because it is teaching you how to eat properly.. Fruits and veggies are good for you. it lets you have that craving that you want but in moderation, it really isn't a diet but a healthy lifestyle. I joined on line and lost 12 pounds could have lost more but I got carried away with the holidays. So I have no one to blame but myself. I would rather pay what I do for ww online then buy the food every month from other diet plans as with ww I know what I'm eating and what goes into my food because I do the cooking. I'm a weight watcher member and attend the weekly meetings for support but the point value system doesn't work for me. I use LoseIt! to track food and exercise. I try to stick to power foods but track every bite I take on LoseIt. I reached ww's goal several weeks back and no longer pay but I'm continuing to lose until I reach my personal goal of 15 lbs less than ww's. I paid for ww for 6 months and it was worth every cent! I too highly recommend SparkPeople.com! Free and loaded with tons of information, tracking and support groups. I also have the Points Plus app downloaded and that has helped. The thing I don't like about WW that I like about SparkPeople or other apps is that WW does not tell you how many carbs, protein or fat grams you are taking in. I feel it's important to know so you can make better decisions about quality food choices. I looked up "reviews" on the new personal coach, and from what I could find on various forums, the service appears to be very spotty. It's really not as 24/7 as they say it is. I was about 5 minutes from trying it out, as I really need the motivation and personal support, but it doesn't sound like this was quite ready to be worked out yet. Also, it sounded like the coaches were really not that well versed in nutrition and exercise… a lot of them had to go and look things up. Not sure if this is worth it or not? I will always be indebted to Weight Watchers for helping me lose weight and I will always have a special place in my heart for them. I tried it 3 times after my initial tiem when I gained 12 lbs back. I could not get it off and I followed it to a T! I went to meetings too faithfully. I have concluded my (me personally)fault with WWs is they change programs. I think for my body the one program was great and it could not adjust to the new program. I have had success with MFP. Plus, I can't afford WWs anymore. Very pricey. i saw your comments about sparkpeople. i am probably going to try that or dig out my old ww information and do the range of points and try that. i never got hooked on that points plus much. i just lost my husband on dec 30th and i have a weight loss i need to work on since i need a hip surpery done and the less i weigh the fewer the complications. also i have a autistic teenager and i need to gethelathy for the both of us now. People lose five pounds a year and you say "it works"???? I am so very sorry for your loss. I wish you the best on whatever path that you choose. thank you so much pam. i appreciate the kind words. its only been a week and so the healing has begun for me and my son. the best thing i can think of to do is work on myself. I attended Weight Watchers At Work from September 2013 through April 2014 and lost 30 lbs, tracking. I am now a "lifetime" member. I gained a few pounds over the holidays, and have returned to careful tracking to drop those pounds, and tried out the "chat coach" labeled "get back on track" the other evening. It was a terrific boost. I felt like I was talking to a real person and she had some very good tips to help me get back on track! As a Lifetime member of WW, I personally know people who are both leaders and now coaches. My philosophy and theirs has parted ways due to the extremely unhealthy foods they endorse, but this personal EXPERT business is a bit too much. I say that because ask yourself if you'd go to any health care professional without checking their credentials. Do you know the credentials of an EXPERT WW coach? It's no different than you and me, they have no credentials. They have lost weight with WW, ok that's nice. Does that qualify them as experts in the field? In our litigious society, it is shocking that a company as big as WW would have un-certified people giving health advise! Oh, and if you want that advise (same as you'd get from a family member or friend), you're paying for the privilege of receiving it. my question is I've seen many comments about WW and how good it is, but some people have been on it for years.. why would someone be on for years? is it not working or you must stay on it to ensure your weight lost is maintained..